What I believe to be an unfortunate comment was left on this blog this morning. Here it is. First, let me comment on September 11th. While it was a catastrophe, a better word to describe it would be "atrocity." The official toll was 2,996. It was a determined act of terror against innocent civilians. As such, it is inappropriate to compare it to a natural hazard. But the survivors of the Great Okeechobee Hurricane of Sept. 26, 1928, know better. They know that whole towns can be washed away in a matter of hours, wiping out generations of families with no one left to identify the dead. They know a storm that killed half the population of western Palm Beach County and left every corner of the county tattered and broken. They know a hurricane that exacted $16 billion in damage in today's dollars, enough to pitch South Florida into the Great Depression a year before the rest of the country. But it is the loss of life that separates this storm from almost any other. 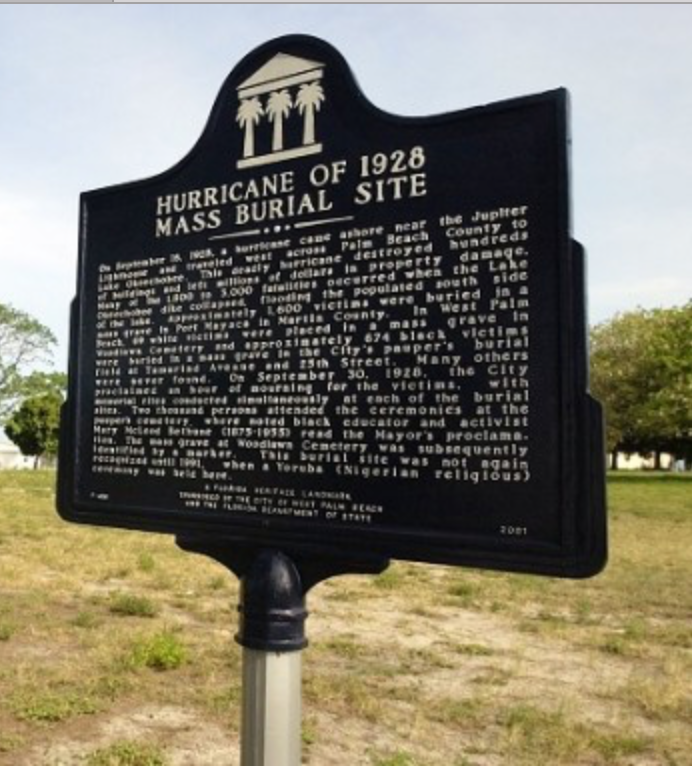 Between 2,500 and 3,000 county residents died that day, making it the second-deadliest natural disaster in U.S. history, behind the Galveston, Texas, hurricane of [September 8] 1900. 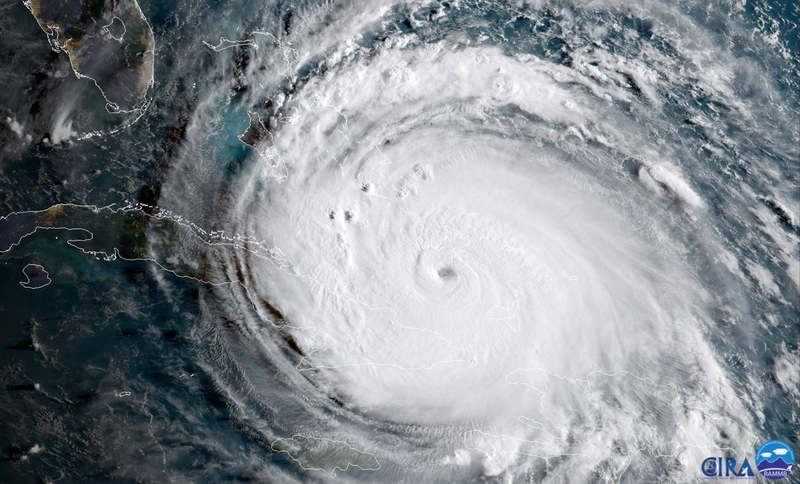 If you estimate the number of people killed by the unwarned 1928 Category 4 hurricane to be 2,700 and multiply it by the change in Florida population from 1928-2017, you would have a death toll of more than 38,000! Impossible, you say? Why? The unwarned Category 4 Galveston Hurricane killed about 8,000 (some estimates say as high as 11,000). Consider this: When Irma was Category 5 or 4 strength and moved across the Caribbean Islands, the death toll (at the moment) stands at 37. While each of those deaths is a tragedy to the friends and families of the victims, that number is almost unbelievably low. The reason? Hurricane warnings. In the mainland United States, the Irma death toll is seven. 7! That is fewer than an average day's traffic deaths in Florida! The weather satellites, Hurricane Hunters, weather balloons and the rest of infrastructure of the United States' world-leading storm warning system didn't get there by accident. It got here because of the dogged determination of a handful of visionary meteorologists who believed that, with the right tools, highly accurate storm warnings and forecasts could be made that would save lives and property. They have been proven right. When I wrote Warnings: The True Story of How Science Tamed the Weather, there were some, even in meteorology, that disagreed with the premise of the book; that storm warnings are the direct reason for so many thousands of lives saved in tornadoes, hurricanes and downbursts. Tragically, my point was made one year later in Joplin when the warning system broke down during an EF-5 tornado. For the first time since the civilian tornado warning system began, we went back to triple-digit (161) deaths in a tornado. If the warning system had broken down during Irma's journey across the Caribbean, we would now be discussing a death toll in the thousands. Weather science, while it has not "conquered" the weather, it has clearly "tamed" it. completely unrecognized by the public and by policymakers. "We don't need high wind updates, we know it will be very bad." "You are risking your life for what? To come out of your bunker on Monday to report the sun is shining and it is 88°?" Without meteorologists, how would you know "it will be very bad."? Normally, these sentiments would be of no consequence. But, with the administration proposing significant cuts in funding for weather satellites and for the operations of the National Weather Service, it is essential that weather science better make its case that meteorological infrastructure is one of the very best investments the federal government makes. And, if you know a meteorologist in Texas, Florida or who has otherwise been working on these hurricanes, please buy him or her a beer or a Diet Coke and tell them how much you appreciate their work. This is an interesting topic, Mike, and perhaps KEYW is a unique situation due to their topography and isolation. First of all, credit to the NHC and the numerous models they consult, aggregate, then issue a forecast. 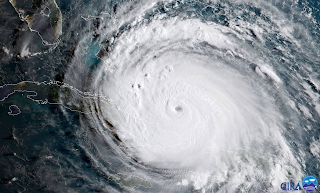 Some perhaps impossible to forecast fine-grained details were missed that ultimately lead to huge changes in impacts of the storm (hugging coast of Cuba, more N track through the keys and SW Florida than forecasted) but otherwise this hurricane was extraordinarily well-forecasted in advance. That being said, what purpose is KEYW serving now? Why are they in their bunkers? Why wasn't there a (relatively) last minute evacuation of the KEYW bunker? All forecasting services have been shifted to KEWX and have been that way since midday Sunday. No co-op observers are around in the keys to provide last minute data points. Were they still sending up balloons Sunday morning? Who exactly was receiving their data? Law enforcement was pulled off their duties when the winds reached 45mph sustained - I assume power is 100% out in the keys - not to mention the highest MSL is 16' - I don't think there is a person in the world that would've faulted them for saying "we have to get out, we're transferring to NHC, KMFL, and KTBW." Seems like the NHS resources were sampling the storm just fine at that point. Better yet, the highest MSL in Key West is 16'. 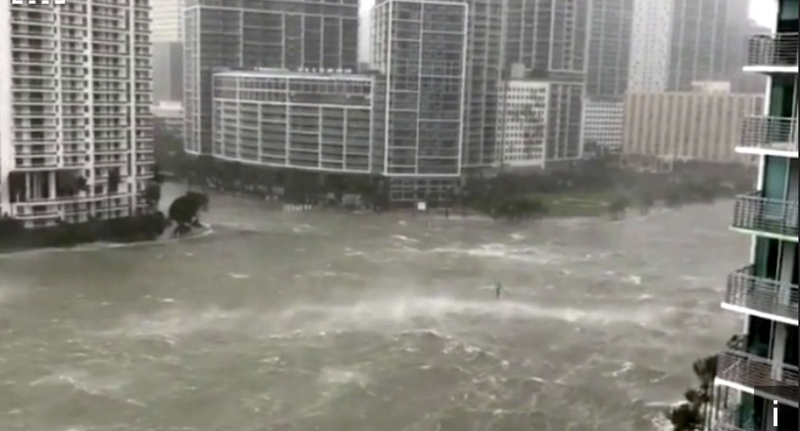 Is the bunker built to withstand the storm surge higher than that? Nothing would get wet? The combined NWS and NHC did a great job with Irma. But - after a while - it's a very fair question to ask of the KEYW forecasters. What purpose are they serving being there when there is redundancy built into the system, especially in the few hours before they themselves were at danger? I must disagree for a number of reasons. The first is while you can observe the Key West (KEYW) radar from anywhere, you cannot REPAIR the radar and other instruments from anywhere. The radar went down twice during Irma and the on-site staff got it going again. That is true of the other vital instrumentation. We need people in place to insure that records are made of the meteorology of the storm. Second, what would have happened if Miami's NWS office had been knocked out? Key West's radar observes part of the same area. So, with their "local knowledge" they could have issued more cogent information than an office halfway across the nation. I support keeping people in place at Key West during the storm and I salute their courage and dedication. Excellent commentary and reply to comment. Like firefighters and soldiers, meteorologists need to be on the front lines in order to be of service to whose of us who depend on their special & specific expertise and equipment. Bravo for their courage and dedication. OTOH I have completely given up on reading comments in almost all the online newspapers because they are overrun with posts by trolls. Mr. Smith, perhaps I could have worded my comment more clearly, but I deliberately used a key word, "science." And without question the science of meteorology was absolutely fundamental to my point: With a week of warning, thanks to science and engineering, loss of life in the hurricane-hardened (thanks to science and engineering) U.S. was miniscule. I acknowledge the heart-rending impact of individual deaths, yet one can only marvel at so few in such a powerful display of (now largely predictable) nature. But language matters. 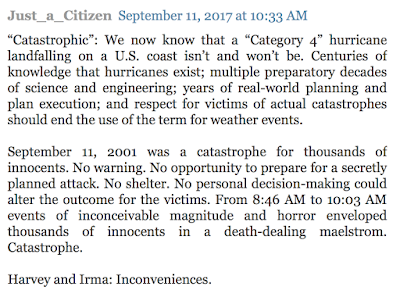 For me, the powerful connotations of “catastrophe” are “sudden”, “without warning”, and (implicitly) “helplessness before an overwhelming force.” With science and engineering, planning, communication, transportation, energy distribution, and emergency response resources so marvelously developed in the United States, it becomes quite reasonable to ask why any lives were lost? Were warnings ignored? Remarkably, it would seem quite feasible to investigate each death, and thus further improve our societal response. The juxtaposition of the catastrophe of September 11, 2001 with the over-wrought media coverage (day-after-day) of the two hurricanes highlighted for me the difference in emotional response I am prepared to give to the disparate events. We are now largely in agreement. 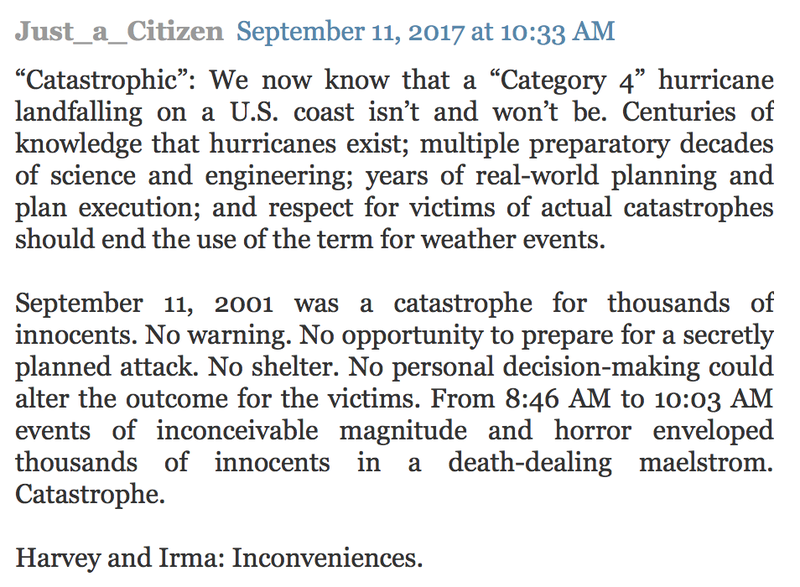 I do wish to point out that I reviewed my hurricane coverage and I used the word "catastrophe" at one point only and that was when it appeared Miami-Ft. Lauderdale-West Palm Beach were going to be hit by a Cat 4 or 5 hurricane. Otherwise, thank you for your comments.